To prepare cashew spread, pulse first 3 ingredients in a mini food processor until coarsely ground. Add 1 tablespoon water and mayonnaise; process until smooth. Reserve 2 tablespoons cashew spread for another use. 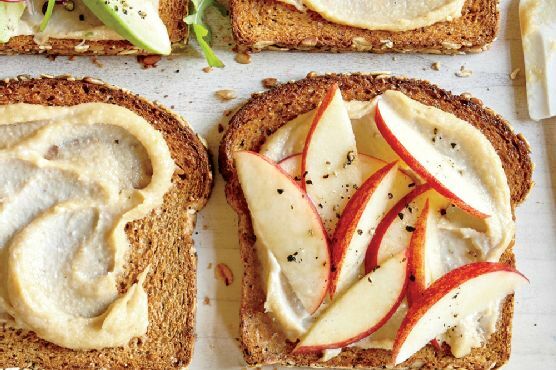 To prepare sandwich, spread 1 tablespoon cashew spread over each bread slice. Top 1 slice with apple, lemon juice, a dash of black pepper, and remaining bread slice.